This month on October 16th, 2016 Blessed Jose Sanchez del Rio will be canonized and declared a saint. He has always been an inspiring example and patron saint for Challenge and Conquest because of his heroic martyrdom during the Cristero war. He was an example of courage in the face of people who hated God and the Church. You may remember his story from the 2012 movie “For Greater Glory”, which depicted the martyrdom this teenage boy in Mexico in the 1920s. In prison, he prayed the Rosary and sang songs of faith. He wrote a beautiful letter to his mother, telling her that he was resigned to do God’s will. José’s father attempted to ransom his son but was unable to raise the money in time. On February 10, 1928, the teenager was brutally tortured and the skin of the soles of his feet was sheered off; he was then forced to walk on salt, followed by walking through the town to the cemetery. The young boy screamed in pain but would not give in. At times the soldiers stopped him and said, “If you shout, ‘Death to Christ the King,’ we will spare your life.” But he answered: “Long live Christ the King! Long live Our Lady of Guadalupe!” Once he arrived at the cemetery, José was asked once more if he would deny his faith. The 14-year-old shouted out: “Long live Christ the King!” and was summarily shot. 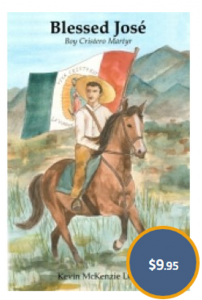 There is a book about his life story written by Fr Kevin McKenizie called Blessed Jose: Boy Cristero Martyr which can be found on the Challenge & Conquest store here. 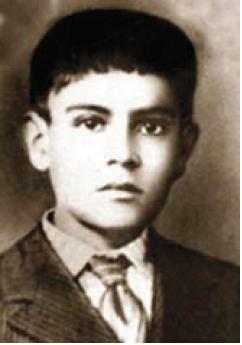 You can also read about the amazing miracle that led to his canonization here.